Written by leading authorities on aphasia, this comprehensive text covers the assessment and treatment of adult aphasia by speech-language pathologists. 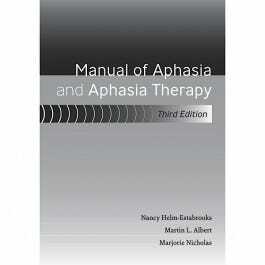 The manual is targeted at graduate students and clinicians working in acute and post-acute settings working with people with aphasia. It focuses on the theoretical and research underpinnings and the practical application of a wide range of treatment approaches, including verbal expression, auditory comprehension, alexia and agraphia and nonverbal expression. This revised edition includes 10 new chapters with a significant amount of new, up-to-date information, a DVD that contains printable forms, appendices from the text, the Test of Oral and Limb Apraxia, an observation rating form, and clinical materials. 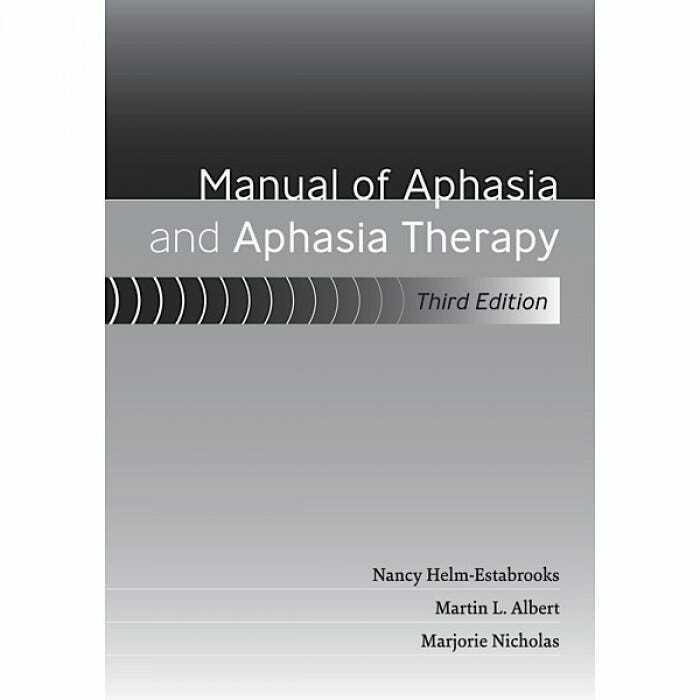 Video excerpts on the DVD demonstrate treatment methods and assessment of individuals with various types of aphasia.. Softcover manual, 504 pages.